La Vista is the 29th most walkable neighborhood in St. Petersburg with 821 residents. La Vista has some public transportation and is very bikeable. Nearby neighborhoods: Azalea Homes, Pasadena on The Gulf, Crossroads Area, South Causeway Isle, Eagle Crest, Jungle Terrace and Holiday Park. Some errands can be accomplished on foot in La Vista St. Petersburg. La Vista is the 29th most walkable neighborhood in St. Petersburg with a Walk Score of 50. Find apartments in St. Petersburg's most walkable neighborhoods: Downtown, Crescent Lake and Allendale Park - Five Points. Compare La Vista to other St. Petersburg neighborhoods. There are about 8 restaurants, bars and coffee shops in La Vista. People in La Vista can walk to an average of 0.9 restaurants, bars and coffee shops in 5 minutes. A few nearby public transportation options. 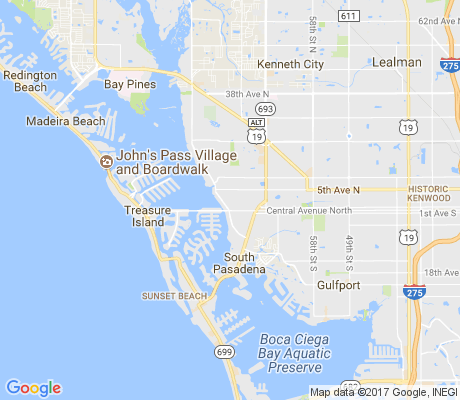 Find La Vista St. Petersburg apartments for rent near public transit. La Vista has some public transportation and about 1 bus lines passing through it. The map above shows how far you can travel in 30 minutes from La Vista on public transit.